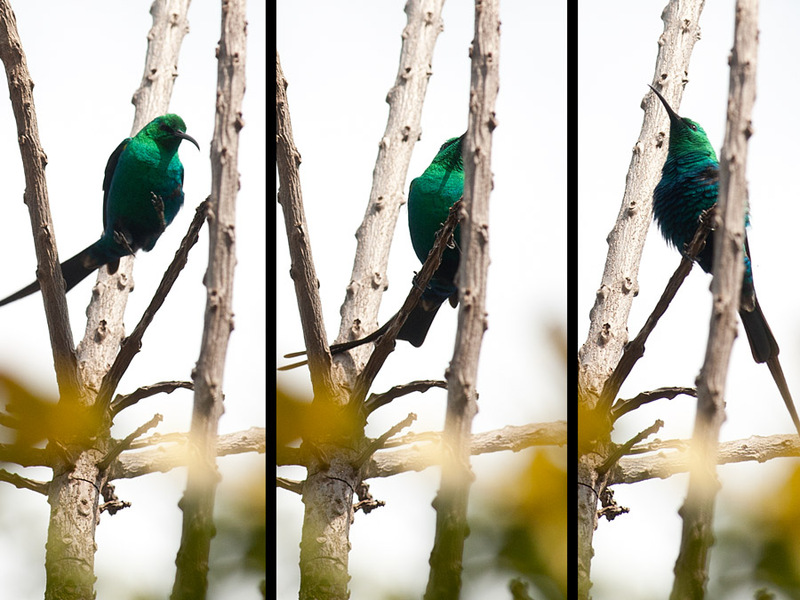 I finally had the opportunity to get photos of my local sunbird. The couple come back every year and nest in the same tree. 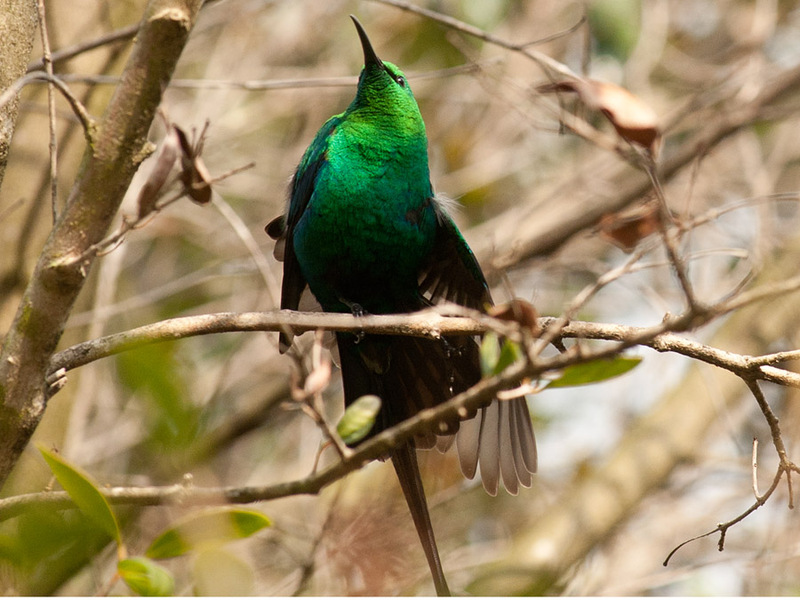 He is a malachite green – it also looks blue sometimes in the light! He is a noisy bird and fights off all possible intruders – the local yellow weaver and the fiskal shrike (butcher bird). He chases them all around the garden, so I am assuming that there are baby birds. I also got a photo of the female, who is very scarse. They love my big protea bush in the front garden. 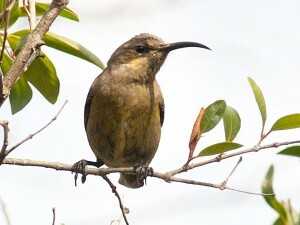 The sunbirds and spiderhunters are a family, Nectariniidae, of very small passerine birds. The family is distributed throughout Africa, southern Asia and just reaches northern Australia. 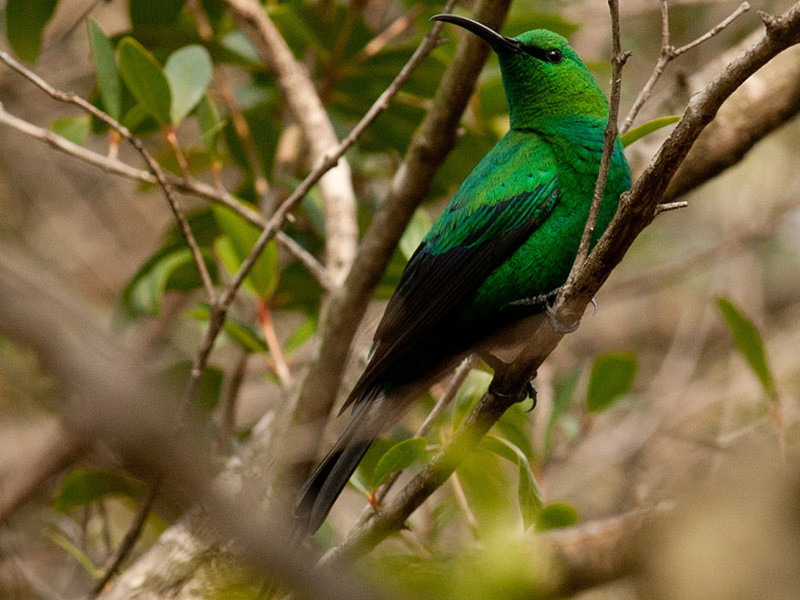 Most sunbirds feed largely on nectar, but also take insects and spiders, especially when feeding young. Fruit is also part of the diet of some species. Their flight is fast and direct on their short wings. The sunbirds have counterparts in two very distantly related groups: the hummingbirds of the Americas and the honeyeaters of Australia. The resemblances are due to convergent evolution brought about by a similar nectar-feeding lifestyle. Some sunbird species can take nectar by hovering like a hummingbird, but usually perch to feed. – from Wikipedia. 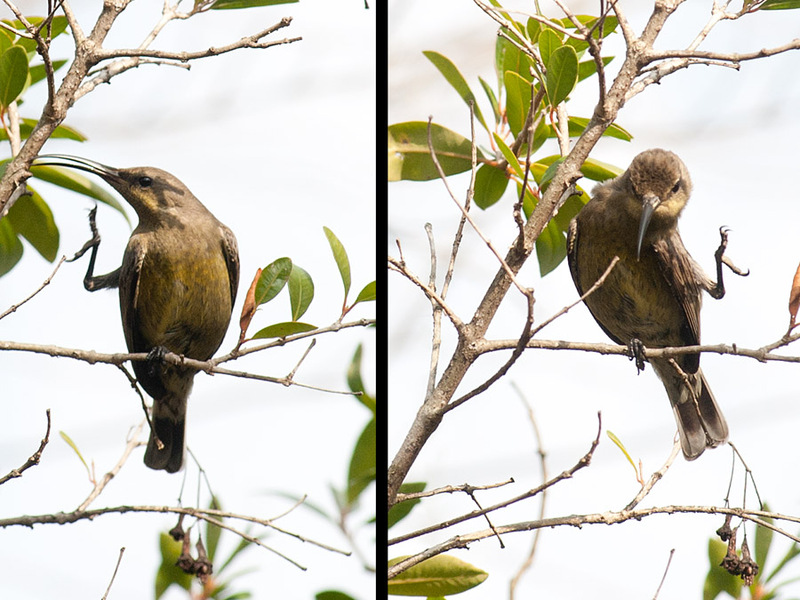 I would be interested to know what an immature sunbird looks like. I am keen to see the new family and get a shot of the new addition. I’ll keep you posted. 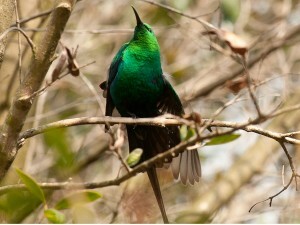 What a fantastic colored bird! I am always thrilled to see a hummingbird, but these are much larger. You are fortunate to have them in your garden, and congratulations on getting such good photos! wonderful photos thanks for sharing barbara. happy gardening! Oh, the vivid color is simply glorious. Your photos are excellent. Amazing photos! I love sunbirds and see them all the time in my garden but I’ve never managed to get a photo which is half as good as yours. I’ve never seen a green sunbird before. Such a vivid colour! Here in Mumbai we normally get the purple-rumped sunbirds. Amazing colors! Thanks for the awesome photographs! What beautiful birds! They look so much bigger than a hummingbirds. So glad you included the information. I can see the resemblance now that I know to look. I hope you do get pics of the nest and babies! 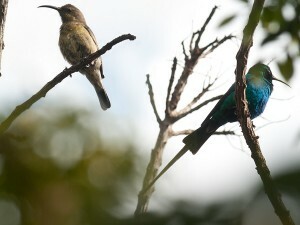 The malachites are bigger than our multicoloured sunbirds. Noisy they are too!! But such jaw dropping beauties. 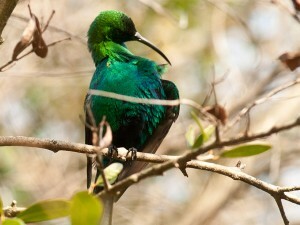 This is a really pretty bird. The male is stunning in the blue and green iridescence. 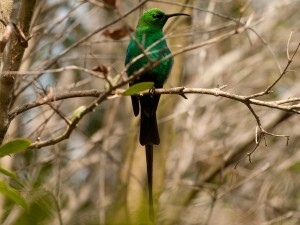 It really does look like a hummingbird, but bigger. I am very much attracted to the beautiful colour and glow of these birds. Sunbirds and spider hunters can be found in Malaysia too.